Search Ellis Island Database in ONE step – This site allows you to enter all sorts of information in one easy step and then be taken to a list of matches on the Ellis Island site. You can search just by one letter of the surname and the name of the ship if that is all the information you know. Lots of EASY search capabilities on this site. It eliminates having to go through all the steps on Ellis Island main site and saves time. One note of caution: Don’t put too many specifics because if there is incorrect information anywhere within the Ellis Island Database, your search will not provide accurate results. CastleGarden.org – This website allows you to search arrival records to Castle Garden, which was open before Ellis Island. You can search from 1820-1913. As far as I could tell, you can not see the actual ship manifest images as with Ellis Island, but it does say that a ‘comparative data’ section is under construction. Ancestry & FamilySearch – Both of these websites have a great collection of ship manifests including all New York passenger records. However, Ancestry has manifests for more ports, including New Orleans, Boston, Baltimore, Philadelphia and others. If you don’t find your ancestor coming through Ellis Island or CastleGarden, make sure you check other ports through Ancestry. Immigrant Ships Transcribers Guild – This is a website where volunteers have transcribed thousands of passenger lists from ships all over the world arriving to many different ports of call. Particularly helpful if your ancestor did not arrive through Ellis Island!. Lots of useful links as well. Ships to New Orleans – This website has indexes of ships from Palermo to New Orleans for the years 1869-1897. From New York City to California, Via Central America – These are lists taken from the New York Daily Times. The Forgotten of Ellis Island – Lists of those who died in quarantine. To New York from Foreign Ports: 1789-1919 – This is an online searchable database courtesy of the St. Louis Public Library, listing the ships that arrived, not the passengers themselves. This can help you narrow down the ship your ancestor might have been on. Centro de Estudios Migratorios Latinoamericanos–This site allows you to search immigrants to Argentina, searching by surname and a range of dates. It provides quite a bit of information, including the age of the person, if they were married, their profession, religion, nationality, the port they left from, their date and place of arrival, and in some cases where they were born. Mes Racines en Vénétie– This website provides a list of resources for ship manifests, including some very helpful choices for all of South America! Click the English button on the right of the page to see everything in English. Imigrantes Italianos – for Brazilian passenger lists. Immigrants to Argentina – Transcripts of ship lists. This site is a little tricky as it is in another language, but I was able to guess which spots to click to get what I wanted. When you arrive to the site with the link provided, use the site as a Visitor (visitante) by entering the four security letters/numbers where it says Clave. On the next screen, enter your surname and then follow the links with the results. Italian Immigrants to Buenos Aires 1882-1920 – download the Excel spreadsheet for each year and search. Immigrants to Australia – this link is to the Family History page of the Australian National Archives. They will find documents for you, for a fee, OR you can click RecordSearch and do some free searching for yourself, but only 10% of their archives are searchable, including Passenger lists. Search the Morton Allan Directory of European Passenger Steamship Arrivals This directory has arrivals from 1890-1930 for New York and 1904-1926 for Baltimore, Philadelphia, and Boston. First Mom’s Immigrant Ship Passenger Lists – This site not only has a listing of Italian ships, it also has German, Irish, Scottish, French and more. National Archives – Complete listing of available ship passenger lists from the National Archives. 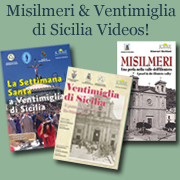 A Website for the Study of Italian Migrations – this web site has some very interesting migration statistics, as well as articles and other items related to migrations to and from Italy. Ellis Island Wall of Honor – See if any of your family members have been placed on the Ellis Island Immigrant Wall of Honor. Maybe another family member unknown to you has placed one of your family names and you will be able to make a connection. National Archives – Where to find Naturalization Records-this page is great. It directs you to the appropriate place based on whether your ancestor was naturalized before or after 1906. It also has great links to articles such as Women and Naturalization, and also to some indexes of naturalization records. New York State Naturalization Databases – This website is run by the Jewish Genealogical Society and has all sorts of helpful information. It allows you to search the naturalization index for Kings County for the years 1907-1924. If you go back to the home page, there are also searches for World War I drafts among other things. NY & NJ Naturalizations – Great searchable indexes! Very useful web site. Ancestry.com and FamilySearch both have a large collection of original naturalization records available. Embassy of Italy – Find the Consulate that you need based on where you live, and you go to that consulate’s page, click Servizi Consolari or Consular Services, and look for the choice for Citizenship. There you will find information for what that particular Consular office requires for the Dual Citizenship process. Hint: Click EN on the upper right by the search box to switch the pages to English. USCIS Genealogy Page – US Citizenship and Immigration Service page dedicated to genealogy, particularly information on requesting an index search for your ancestor’s naturalization, immigration or alien registration papers. Apostille Info – This page has a listing of all the places where you can get the Apostille for your US based documents. You can also go directly to the US Dept of State. Additional information about where to have the Apostille done. Dual-US Citizenship Facebook Group – The folks in this group are incredibly helpful! Italian Dual Citizenship FAQ – That’s self explanatory!